The worlds most popular and best bamboo toothbrush. 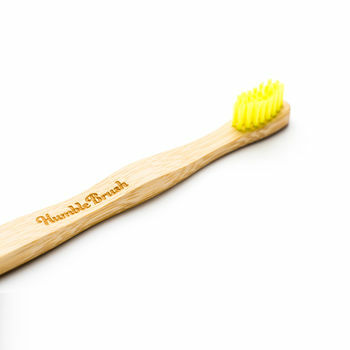 Care for your planet and your teeth with this sustainable, beautiful and ethically produced brush. The Humble Brush is not only a super cool product suitable for all the family. It is ethically made by hand from one of the most sustainable products on the planet, bamboo, which is a natural antiseptic. The bamboo handle is fully biodegradable and the bristles are made from BPA free nylon as well as the packaging being completely compostable. Every time you buy one we make sure that the equivalent amount of one toothbrush is donated to people in need of oral care through our charity, the Humble Smile Foundation. The Humble Brush is available for both adults and children. Childrens brushes are available in ultra soft bristles to take care of those delicate developing gums. These are available in Yellow or White. 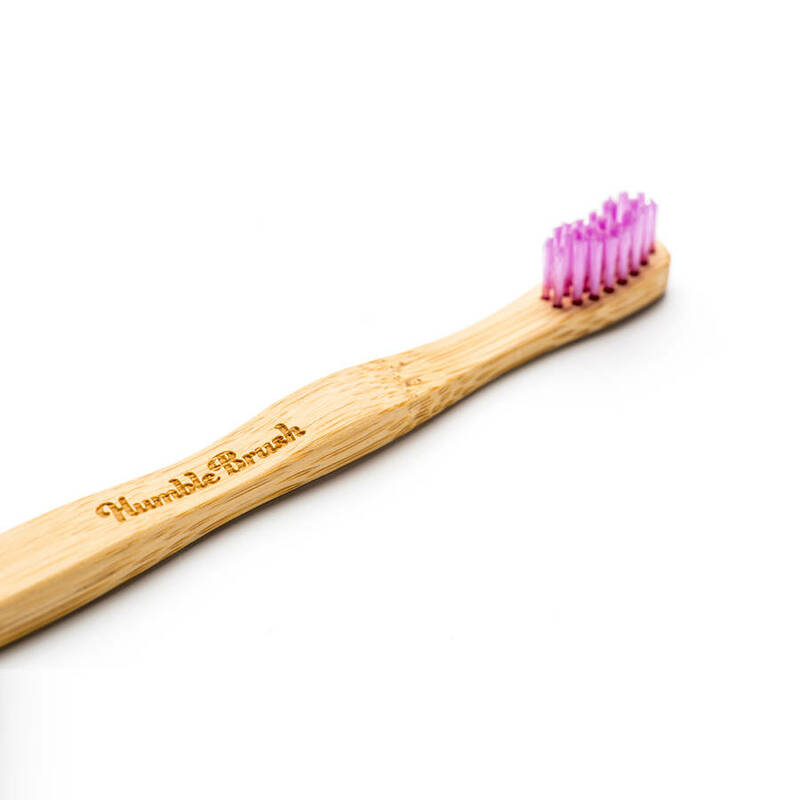 The Humble Brush is made from Panda friendly bamboo, probably the most sustainable material on the planet. Bamboo has natural antiseptic poperties so your brush remains clean and healthy to use. The handle is handmade with care and features an ergonomic grip as well as being naturally non-slip, another cool advantage of bamboo. This product is dispatched to you by Humble Brush.